Whether you have a pet dog or not you can make your own dog to love with this fun collection of dog crafts. Make a little origami dog face - perfect for a card topper or to display on the fridge. 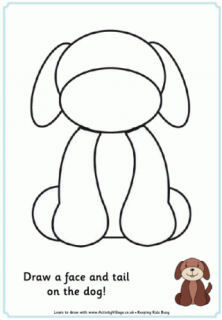 And we've got a second origami dog, this time a printable that your child can colour in before folding.